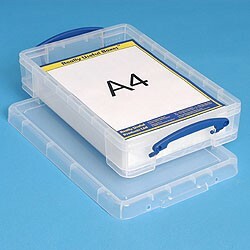 These boxes are great and so practical, especially like the fact the lid seals and securely clips shut. We have many various sizes and now only use these. Seller was great with, good price and very fast delivery. Really useful box with good lid locking mechanism. Purchased 3 x £10, excellent value for money. Does what the description says 'Really Useful Box'!! This product is excellent for storing my collection as it is practical, strong and stackable. My craft room is looking really organised now. 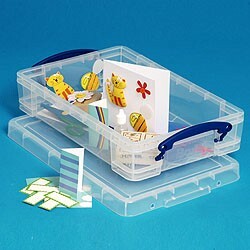 The boxes are sturdy, stackable and the clips hold the lids on and are easily removed.